Travelling up to Sheffield to give a presentation on HCM to clients of the Chamber of Commerce on behalf of Learning Light, I listened to one of Lucy Kellaway’s recent FT podcasts on the joy of fresh stationery. Asking her colleagues how they could create the same level of happiness experienced by the children in the Sound of Music, Lucy’s colleagues suggested ‘going home’ and ‘being left alone to get on with work’! Persevering, Lucy describes the ‘small pleasures’ she experiences at work, and of which she sings (to the sound of ‘my favourite things’): “stationery cupboards and lattes with lids on, small ego boosters and…”. But surely work can offer people more than these small things? From a purely humanistic perspective, people spend so much of their time at work, that there must be a need to ensure work in itself is a fulfilling and engaging activity. And from a business perspective, if people aren’t fulfilled and engaged, are they really going to act as an organisation’s ‘most important assets’? 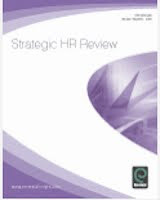 I talked about this at my presentation in Sheffield, contrasting the traditional perspective of people management as Human Resource Management (HRM), and what I believe is now emerging as Human Capital Management (HCM). 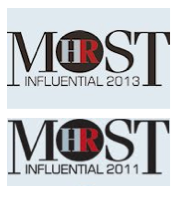 HRM has proved itself as a significant step forward from the more basic perspective of Personnel, which focuses mainly on the administration of people management. HRM’s main focus is on the business, and on what the business strategy means for people and people management, ensuring that all employees are aligned behind business objectives. This process of alignment has delivered huge benefits for organisations, but its downside is that, as the name suggests, HRM tends to treat people as resources. It provides a great way to gain compliance from employees, but not necessarily their commitment. Just look at most organisations’ engagement surveys of evidence of this. 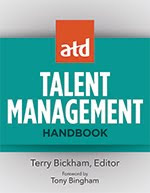 HCM focuses, again as the name suggests, on human capital. This isn’t meant to suggest that we should think about people as capital: that wouldn’t be any more empowering than treating them as resources. 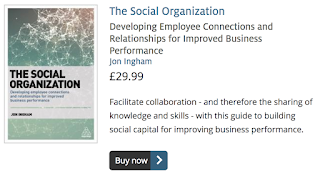 It’s about how organisations can accumulate human capital which is an intangible capability provided by their people (managing FOR human capital rather than OF human capital). It’s about building jobs around people rather than fitting people into standard job descriptions. It’s about personalising people management activities to each employee’s individual needs. It’s about understanding each person’s own engagement drivers and ensuring that these needs are being met. I explained that given the fact that we are all emotional beings, HCM strategy development is likely to depend at least as much on creative and emotional (right brain) thinking as it is on analytical, logical and left brained analysis. I pointed to the increasing use of Emotional Intelligence in organisations as evidence that there is increasing appetite for this sort of approach. The message seemed to resonate with some of the audience, although I was challenged at the end that it all seemed a little bit intangible, a bit ‘emperor’s new clothes’. 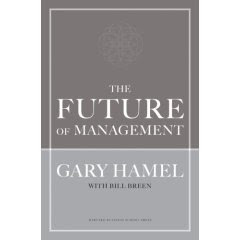 When I got back home, I found that I had been posted Gary Hamel’s new book, the Future of Management, which I have just read on another train trip up to Birmingham. This isn’t supposed to mean that it’s a light read, just (despite its dreary cover) an engrossing one, or at least I found it as such. 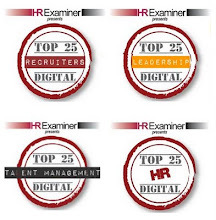 Without the right paradigm, HCM will smack of the emperor’s new clothes, and it reinforces the need, that I’ve referred to previously, for HR to ensure that it’s using the right paradigm to consider the opportunities for people management in its organisation, and for maximising its own role.